When they were about to depart, each one to return in his own kingdom, Satan begs for the power of assuming all shapes or appearances, in order to be able to pass through any place. Satan ventures to give the Lord the thee-and-thou. 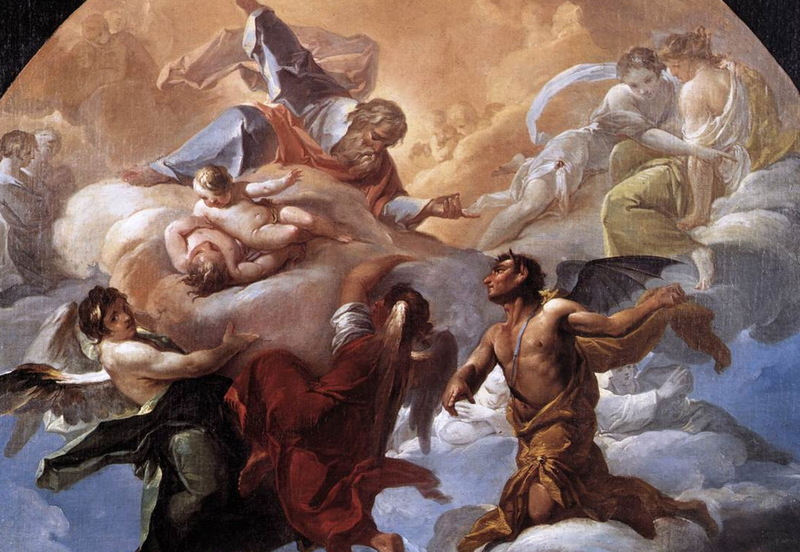 Marie-Julie questions the Flame of the Holy Spirit about whether the period has already been fixed when Satan is to reign as such a great master. The Flame replies that it is already fixed in the Lord’s designs, and that the Demon has a presentiment of this moment without knowing it with precision. “This is the one in which you are at present time, children of God,” says the Flame. The flame says that sorrow is about to enter the hearts and Hell is ready to intone the great canticle of victory. But God’s Love is Paternal, and He will only permit the devil to seduce, which implies that souls must agree from their free will to be tempted by evil. There must be consent first on the part of individual souls. The devil delights in the role which God has given him to chastise mankind, thinking of himself as “the mighty conqueror.” The devastations which he will be allowed to create on this earth cause within him a “desire …which is already devouring [him]…” and in this admission we see, but cannot comprehend, the depth and the breadth of the hatred which the devil has for mankind. But should we be so shocked? Did not Our Lady of La Salette appear in 1856 crying over the grievous sins of false priests, those whom we would knowingly call infiltrators and instruments of the ravages today? Being within Marie-Julie’s lifetime, 1850-1947, this era of demonic dominance, which still continues today, is now more than 100 years old. We thus understand that this timeline is separate from (if also for a period of time simultaneous to) the 100-year timeline heard by Pope Leo XIII. His only true opponent on earth is Holy Mother Church, whose Head is the Pope. He must destroy the Papacy – except that Christ has promised St. Peter that “the gates of hell shall not prevail,” meaning that God will NOT permit the Papacy and the Church to be destroyed. And these words from God the Father make us recall that the French Monarch will be crowned by the Holy Father over the ruins of a church in Paris, so we know that certain souls in Paris will be saved by God Himself, despite the destruction of that city.